A co-op student started her term in a big company. It was her first work experience, and she didn't quite like how she felt in the first few days. After a lifetime surrounded with friends, she felt the need to go out of her way to be friendly with all her new seniors. First of all, she learnt all their names. Then she started to communicate face-to-face, rather than via emails. Then, feeling decidedly more comfortable, she started giving nicknames to her colleagues and call/email them by that nicknames. She felt they could be on a friendlier term when she did this. Her colleagues, not knowing why she suddenly called them by shortened/different names, felt that she was being rude. It didn't help that one of the nickname she gave was actually the name the colleague was bullied with as a child (in another culture). So it seemed as if she was mocking them. It is sufficient to say that her relationship with her colleagues did not improve, and they only talked on a need-to basis. Lesson: Don't give people nicknames they don't approve of. Especially if those people are your colleagues (or seniors) at work place. (Exceptions apply to close friends -- they may know you mean no harm). 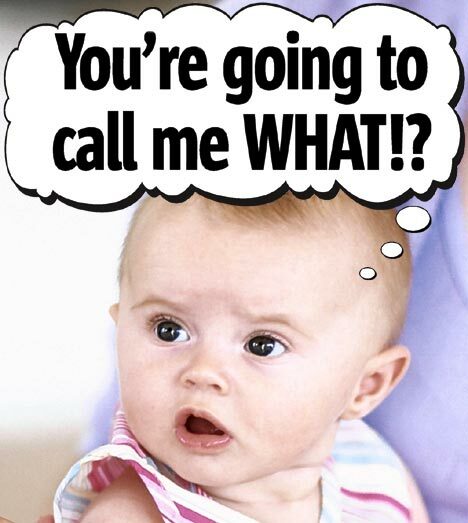 On the same note, don't people know that names are sacred? If his name is Matthew and he says, "you can call me Matt", then it's okay to call him Matt. On the other hand, if her name is Rebecca and she says, "my name is Rebecca [full stop]", then don't call her Becky. (And I know a "Steven" who doesn't want to be called "Steve" -- so don't assume). I won't allow people, except my Trinitas friends, to call me Binn hoho.